For more than 20 years, Kardinia International College has focused on the ideal of international understanding. Graduates of Kardinia live in a global village where an understanding and deep respect of all other cultures and creeds is an essential characteristic of leaders and productive citizens of the 21st Century. The College provides a caring environment for more than 1900 day and 50 homestay students from Kindergarten to Year 12, preparing them to be leaders and productive participants in our rapidly changing world. The emphasis at every year level at Kardinia International College is on academic rigour and we are renowned for the outstanding results achieved in the Year 12 examinations each year. Integral to our success is that we encourage and expect positive student attitudes, understanding and actions towards each other, our community and the wider global environment. The Senior School curriculum is also strengthened with our range of International Immersion Programs. Year 9 students have the opportunity to join the positive, life changing Chiang Mai program where they go to the College’s Sum Pun campus in Thailand for eight weeks. This unique program involves a very exciting suite of challenging and thought-provoking experiences, helping the students to develop their independence, resilience, responsibility and confidence. Overseas students stay with local Australian families and are looked after by a full time Kardinia Homestay Coordinator. Students experience a full Australian life style and make family friends for life. A guardian is provided free of charge, if required. Internationalism pervades the whole curriculum with particular emphasis provided by the International Baccalaureate Program. We offer a vertical curriculum based on the guidelines of the Victorian Curriculum and Assessment Authority to students in Years 7-10 and both the International Baccalaureate Diploma Programme (IB) and the Victorian Certificate of Education (VCE) to students in Years 11 and 12. Kardinia consistently has excellent year 12 academic results with over 30% of students achieving results above 90. The average IB score has consistently converted to an ATAR score of 95 each year. All overseas students graduating from Kardinia have successfully entered university. Overseas students have enrolled at Universities in Australia, returned to their own country to study at a tertiary level or moved to other international destinations. Kardinia offers a full range of musical, sporting and cultural programs. There are over 52 various clubs or activities, which students can join according to their interests. For me, it is my first time being so far away from home by myself. Living in an unfamiliar country and study makes my life full of challenge. I couldn’t tell how I exactly feel. Excited? Passionate? Confused? Or scared? However, every time when I met some problems I was able to overcome them, with the help from others and myself. Everyone in Kardinia are trying their best to make me feel like home. And I enjoy the campus, especially in spring. It is pretty to study at some place where flowers bloom. As the only child in my family, I never know how life will be with children sharing everything with me. But my homestay family gives me the opportunity to experience it. Our house is always full with children’s laughing, gigging and even crying. I love it. During the weekend, I usually hang out with my friends. We go shopping, watch movie, go rock climbing or go to some Chinese restaurant. Geelong is not as big as Melbourne, but it is such a fantastic city near by a beautiful bay. When the breeze kisses my face and brings me a salty taste, I really feel the enjoyment and peace that comes from the deep shiny ocean. I miss my family, my home and my country. But I know they would be more than happy for me if I could take a good care of myself and live happily. It is a path to independence, and I am on my way. I can see all the new challenges are waving to me. I believe the effect of hard working. And I hope everything will come through in the following year. The word Kardinia of Kardinia International College is Tasmania Aborigine word which means sunrise or new beginning. There are many international students. Everyone is very friendly whether they are international students or not. School is big, large and awesome. Teachers will support you to improve your skills. There are bunch of subjects so we can choose and develop our skills. 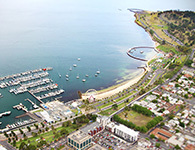 Geelong, where Kardinia International College located, is very beautiful city with beach. Average temperature is warm and nice. I’m living in nice homestay with wonderful homestay parents. They are so kind. My friends are also kind, nice, friendly and awesome. Kardinia International College에서의 Kardinia라는단어는타스마니아어보리진단어로, 여명과새로운출발을의미합니다. 학교에는많은유학생이있으며, 유학생이건아니건모두친절합니다. 3 years in Kardinia International College give me lots of experiences. Before I came here, I was afraid that I would not fit with anyone. However, first day of the school, many students came and greeted cheerfully. I was very happy and felt more comfortable to talk with them. Kardinia has a wide range of activities for the students to join and make friends such as school clubs, school productions, house athletics, and so on. Also, by studying in Kardinia, I have not only learnt English, but I have learnt many different languages as this school opens for students from around the world. As in the school song, “Wisdom leads to respect and respect leads to friendship with the world”, Kardinia includes these three words in our everyday at school. In addition, as my family does not stay here, I have to stay with homestay family. They are like my second parents who help, support, and look after me as their child. They are the best homestay family ever. I have learnt so many things from them such as culture, custom, language, etc. Kardinia and my homestay family are located in Geelong where is very quiet and peaceful. It is totally different to my home country, Thailand. The traffic is much better, therefore it is quicker to travel from one place to another. Ultimately, I am so glad that I came to Australia and study in Kardinia International College. I will never ever forget this experiences in this school, this homestay and this country. Kardinia International College (KIC) is a globalised school because many overseas students who are from around the world and KIC students study together. We can learn cultural differences from overseas students and improve the level of our education. KIC students are kind, friendly and caring so when I ask them to help me, they always help me tenderly. The teachers are also kind and helpful so we can ask them questions unhesitatingly. They also provide us good education. They help us expand our knowledge. There are a lot of good facilities for students to study at KIC. We have new buildings called “The Learning Commons” and “Senior Centre”. They provide us a lot of studying materials and let us concentrate to study. We always use our own tablet computers to study. Information-organised society has been developed nowadays and KIC provides us an opportunity to use laptops at school. Because of that, we will be able to do well in information-organised society in the future. We can get high levelled education and expand our knowledge through studying at KIC. We also can make friends with a lot of kind students. Our life at KIC is filled with joy. Trinh's story at Kardinia International College.